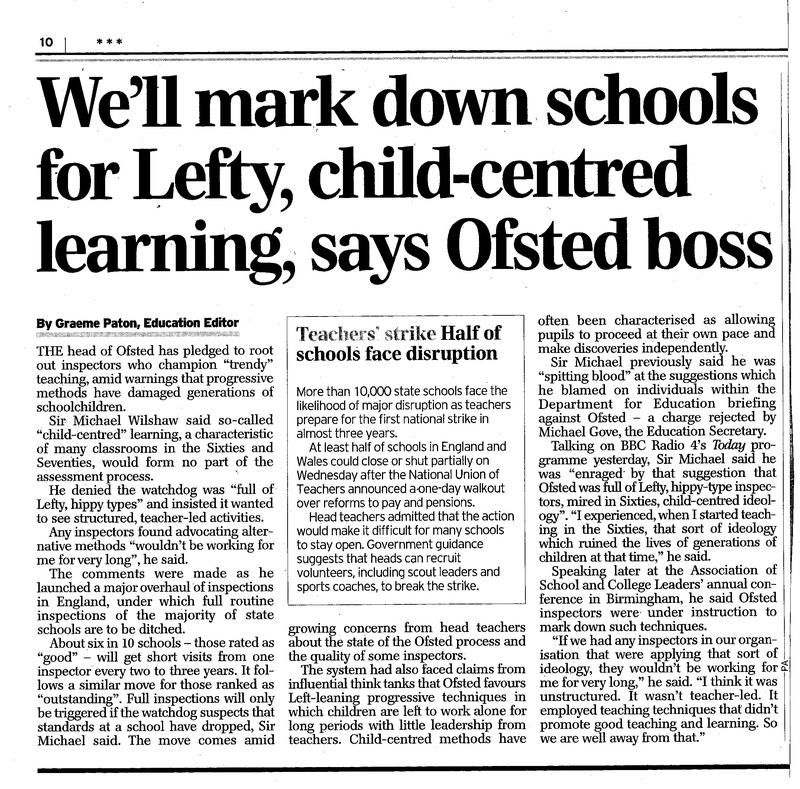 enraged by that suggestion that Ofsted was full of Lefty, hippy-type inspectors,mired in Sixties, child-centred ideology. I experienced, when I started teaching in the Sixties, that sort of ideology which ruined the lives of generations of children at that time. 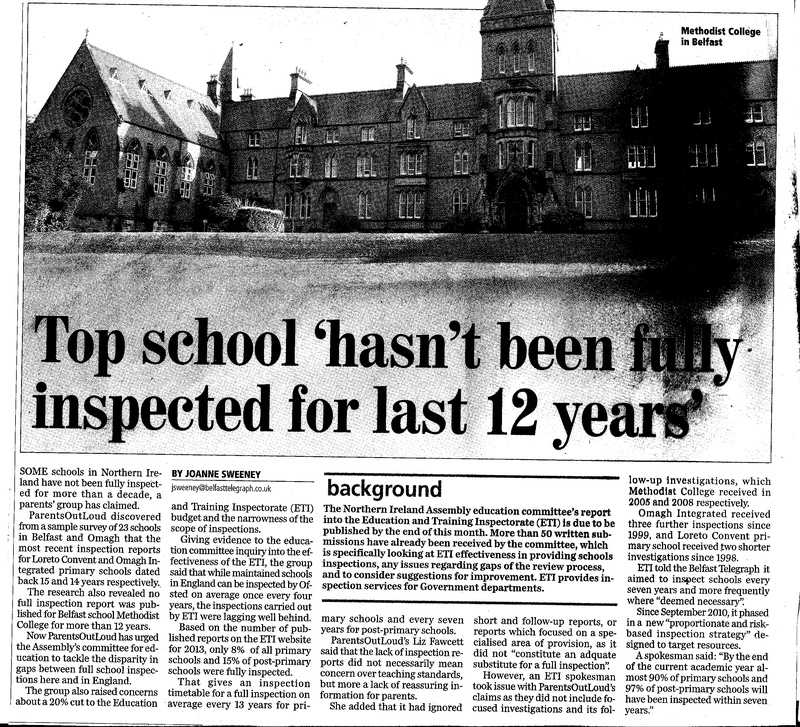 Instead the ETI will inspect yet another grammar school and produce a critical report in line with the Education Minister’s expectations.